We took a summer trip with a fun crew of young folks and heard stories from Tom about the time scientist Norm Buske collected mulberries from branches hanging over the river and made radioactive mulberry jam which was sent to Governor of Washington and the Secretary of Energy as a wake-up call to get on top of Hanford’s contamination. He told us about the other time when Norm went sampling up the river and was arrested and charged with criminal trespass – only to have the site drop all charges against him and negotiate an access agreement with the Government Accountability Project to allow future sampling. 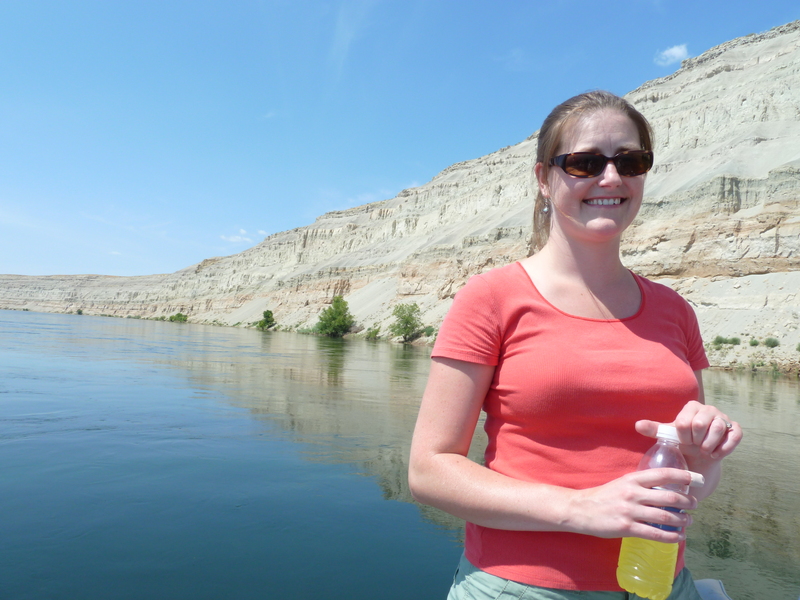 If you are interested in seeing Hanford from the river, Columbia Riverkeeper organizes paddle trips in the summer. Columbia Kayak Adventures out of Richland also offers tours. For the less fit among us, a jet boat ride with Columbia River Journeys is also an option.